About nine months ago, my psychiatrist put me on the drug Propranolol for anxiety. Propranolol is a beta-blocker drug primarily used to treat high blood pressure, chest pain, and other circulatory disorders. It’s also often used off label for the treatment of anxiety and for migraine prevention. So I figured, why not? If it could treat both my conditions at once, I’d give it a definite try. Would it work for my migraine disease when the other beta-blockers I’d been given for migraine prevention did absolutely nothing? Would it be safe to take when my normal blood pressure is already so low? The answers, it turned out, were yes and yes, but not really. The Good News: 10 mg of Propranolol three times a day did more to manage my general anxiety than any other drug I’ve ever tried except Klonopin, Xanax, and Valium, which are truly more effective for my panic attacks than my overall anxiety anyway. It also had a positive impact, albeit it a slight one, on the frequency and severity of the head pain that accompanies my migraine attacks. The Bad News: If I skipped a dose, I felt it. Almost immediately. And it was not pleasant. Shaky hands, racing heart, queasiness, and a general feeling of something being not right that quickly transformed into a panic attack if I didn’t get that dose quickly. The Ugly: While it did seem to reduce the symptom of head pain associated with my migraine attacks, after about three months, it increased my migraine-associated vertigo to such a degree I eventually had to stop taking it. (You can read about my level of disability from vertigo in one of my posts for Migraine.com: “Waiting for My Sea Legs: A Story of Vestibular Migraine.”) I tried to hang on to see if that symptom would eventually disappear, but after months of barely being able to walk, I had to say enough was enough. I did try experimenting, with my doctor’s approval, with decreasing my dose and then the dosing frequency, but that only gave me more of the withdrawal symptoms described above. I imagine that someone with comorbid anxiety and migraine disease who either doesn’t have low blood pressure or doesn’t live with severe vertigo may have a much better experience with this drug than I did. 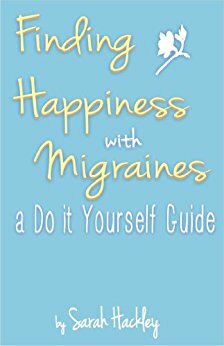 My migraine disease is so complicated, with its crazy auras and brainstem symptoms, that it’s been impossible so far to find a medication that treats one aspect of the disease without worsening another. That may not be the case for others. I’m curious: Have any of you readers tried Propranolol for migraine or anxiety? What was your experience? I tried it, I gained 16 lbs in a month and was too exhausted to do anything. I was put on it after my celexa and sumatriptan tried to fight each other (anxiety won, and I stopped the triptan asap). While I did have relief from most migraines and a decent amount of my anxiety, I feel like it kind of ramped UP my anxiety if I skipped a dose? Also, seriously, I was too tired to get out of bed most days. I’d wake up and need a nap within two hours. While I still have some days like that, that was EVERY day and I just couldn’t handle it anymore. I felt the same way when I missed a dose. Super, super anxious. I finally stopped taking it when it made my vertigo so severe. I’m sorry you had a bad experience. It’s so hard to find a medication that works without nasty side effects. My story is so similar to yours except I was prescribed it, didn’t take it due to the doctor not being very thorough at reading my notes and noticing I have low bp so shouldn’t really take it, then my anxiety ramped up and I decided “its there, I’ll try it”. It’s made my vertigo so much worse to the point where I was stopped by the police for suspected public intoxication and now I have horrible night sweats. It’s nice to know I’m not alone. I’m sorry that happened to you, but it is so reassuring to know someone else had the same side effects. I hope you find something that works soon! Thank you for commenting and sharing your story. I tried it flr my migraines, been having them for years and Im only 24. They are much worse during my period time as well. I can’t really tell what brings them on. It seems each time is something different. Before i started propranolol i felt like the heat, lighting indoors, hours of sleep affected it. Now on propranolol i just cant tell anymore as I still get them. This week was super bad that for the second time it affected my speech. I was unable to make a coherent sentence to even explain how bad I was feeling. I occasionally lose sight in my eyes with black spots, anywhere from a few minutes to hours. Not sure what to do at this point because I dont feel like the migraines are any more manageable than before. They decreased for a while but now they are picking back up again. I think I’ve been taking it for close to a year now.